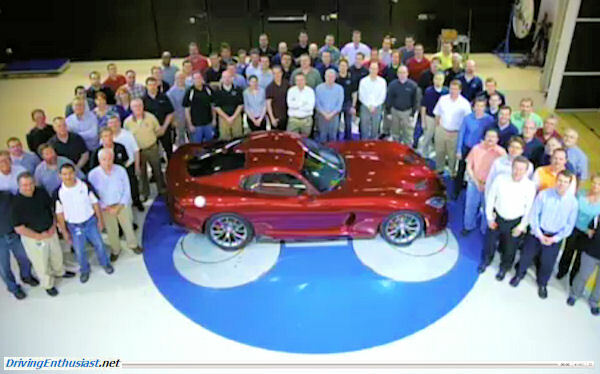 At the New York Auto Show today, simulcast live over the web, SRT unveiled the new and highly anticipated Viper. 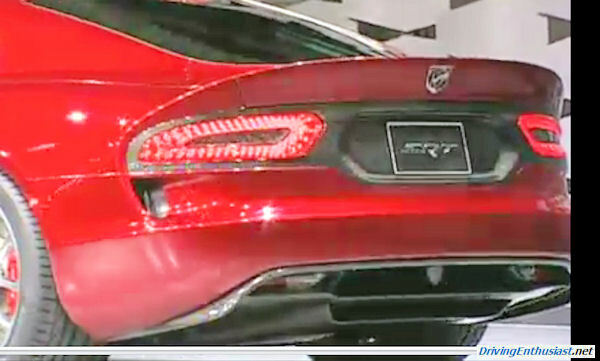 The Viper is now branded SRT – no longer Dodge. SRT is currently running at 20,000 sales per year. SRT (as Ford’s SVT attempted and ultimately failed) brings customers into the showroom that Dodge and Chrysler wouldn’t otherwise see. Ralph Gilles, President and CEO – Street and Racing Technology Brand and Motorsports, Chrysler Group LLC. made it clear that the Viper was designed and will be built in the United States (Conner Assembly re-opened but reconditioned). 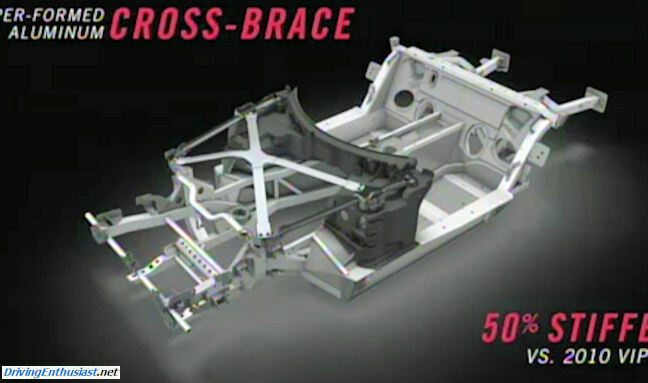 However, he also said that Ferrari and Maserati “friends” helped SRT better understand how to build low-volume products. According to Gilles: the new Viper is all about evolution. 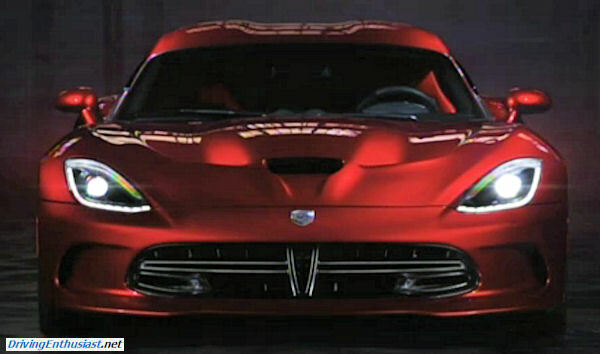 The Viper shows that Chrysler has a soul, that it has returned as a “real automobile company”. Carbon fiber for the hood, roof, and deck. Rest of external body parts are aluminum. 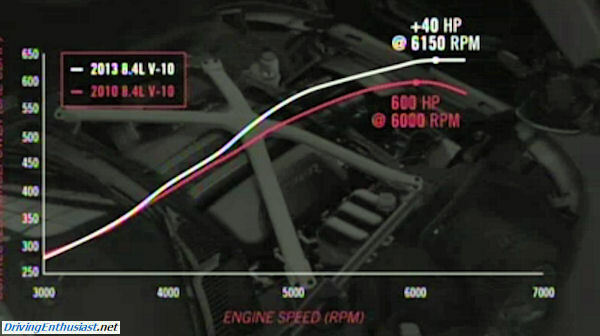 Overall the car is 32% lighter in the body alone. 3354 lbs. With optional track pack, 3297 pds. 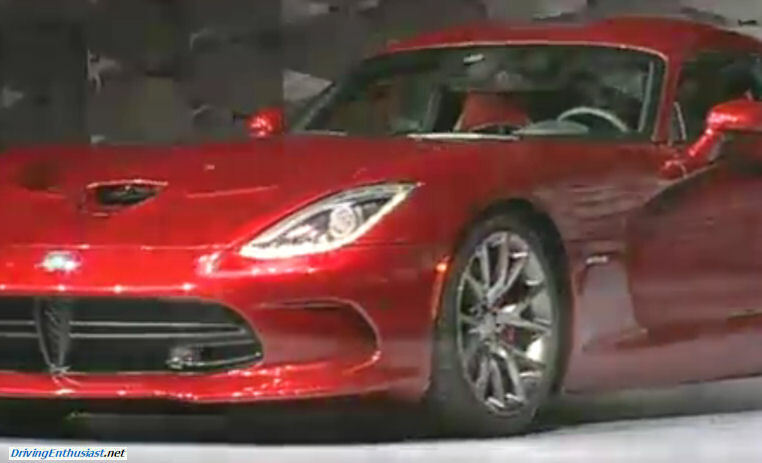 Clamshell hood brought back – a required “Viper” feature. Underhood purposefully beautiful. Dry weight HP/pounds = 4.91. Third best in the world (ahead of ZR-1). 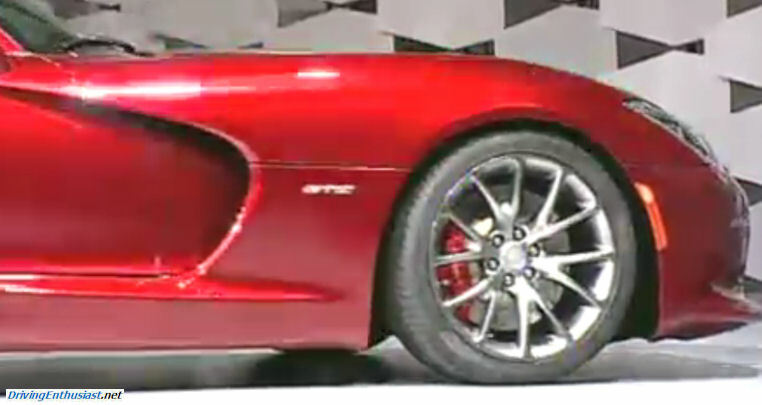 2 models: SRT GTS Viper (up-market) and SRT Viper (base). Coupe only. Race model (because quote “we can’t afford to go racing”) featured in Microsoft Forza. However, immediately after he said this he rolled out a race-prepared car was pulled onto the stage. They will be re-entering the American LeMans series. 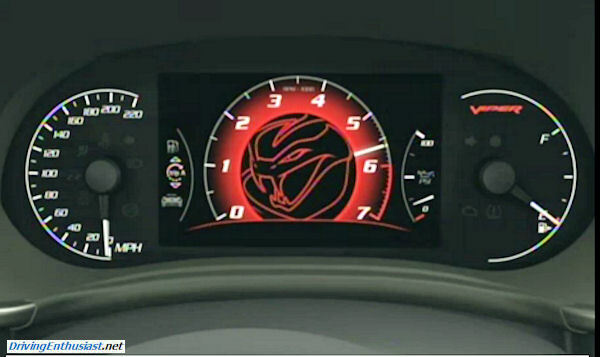 The following images are directly taken from Chrysler’s (unfortunately low-res) internet feed. Full press images are also available on our site, although the images below are unique. Dark firewall section is a very large magnesium casting (!). Note the “spider” aluminum cross-brace over the engine. Steering wheel and center guages. Nav to the right. 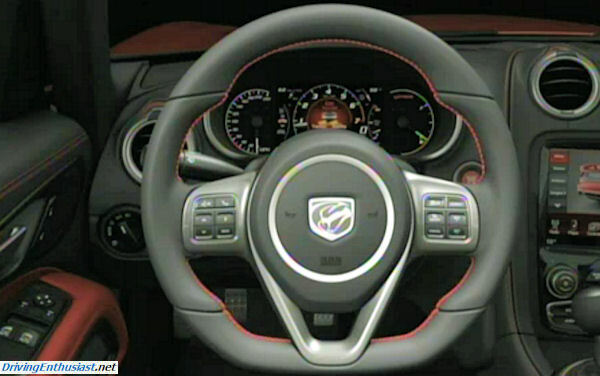 Viper lights up to indicate shift point. 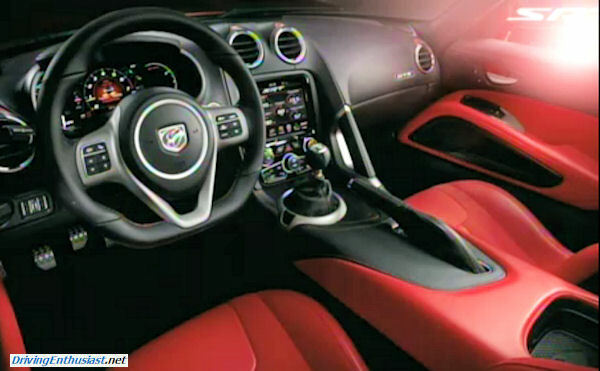 Significantly improved interior – a special point they took pains to design. No more quote “melted sneakers”. Sabelt seats (same supplier as Ferrari). Multiple colors and color schemes. Side view. Side window is blocked. Doro opening handle on top of door – not in window frame. Rear LED lights. Exhaust exists on the side, as before. Clamshell hood, which Ralph said was a customer requirement. Front air intake in center hood. Extractors to each side. Note “double bubble” roof, as before. Ralph said that the headlights are purposefully made to look like “eyes”. Note HID headlamps and LED surround for turn signal and running lights.